L4G South West Herts District: Is this going to be a historic moment for the Market Town of Watford (without a market) ? Is this going to be a historic moment for the Market Town of Watford (without a market) ? 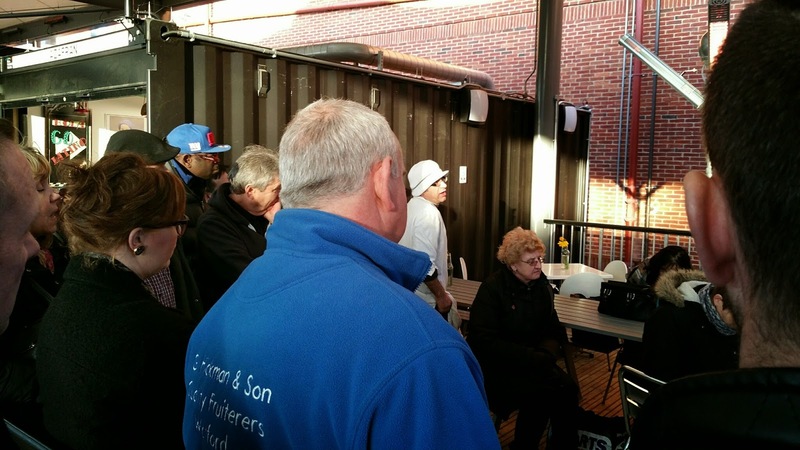 Last night at 5pm on the 24th March the +New Watford Market traders convened once more to discuss their situation with the impending rate rises for their stalls. Although invited Town and Country Markets declined to attend. The meeting had been called by the traders to review what has become a highly volatile situation as outlined by my post just a few days ago. The main crux of the problem to recap is that the market move has drastically reduced the footfall with most traders working at a loss week on week hanging in there with the hope that things will improve. But there is only so long that you can finance losses... and with an average weekly takings for some store holders of less than the rent... we're talking takings here not profit... the end of the line is near for many. Can you imagine owning a successful business at the old market, being forced to move through no fault of your own... being subject to a 60% downturn in business, making a loss for 6 months and then being told your rent is going to double. This in effect is what is happening. You can call it different things if you want but in terms of cash flow, this is the harsh reality. So with the council saying that it's down to Town & Country Markets as they are operators of the market and with Town and Country saying they are in for the long haul and they want the market to work, but won't budge on the rent issue... we enter a period of stale mate? ... or rather we don't! Talking to traders today many of them; and that is 10 or more, are prepared to walk if this issue is not resolved. Quite simply something has to give. With so many units empty already (5+) it's clearly not as easy to attract new stall holders as some would have you believe! It is time out. This experiment in its current form has failed. The big question now is... is Dorothy Thornhill going to go down in history as the Mayor that deprived Watford of its Market Town status? or are we all prepared to sit around the table ditch the pride and ego's and resolve this? What we do know is that these market traders want to trade. They haven't stuck it out during the winter months to give up now. Why though should they alone pay the price, when there are three parties involved in this relationship? I haven't seen the exact figures, but I know that from the income collected by Town & Country markets from the traders rents a fixed portion is passed to the Council for the privilege of operating the market, with a percentage of the profits too. So in rosy times all looks well... but what about when things are bad... where there are no profits and the traders are losing money... Who picks up the tab in the bad times.... errr... the traders it looks like.... the council still get paid... Town & Country claw as much income as they can from loss making businesses... doesn't this strike you as just a tad unfair? With a significant number of units empty now, and with new potential occupants having the advantage of looking back at the past 6 months track record and lack of footfall you cannot blame a number of desirable future tenants walking away from this opportunity. Something fairly major needs to be done! Nothing short of waiving rents, returning to a three day week and bringing a new portfolio of businesses into the market with a rent free window is going to deliver. 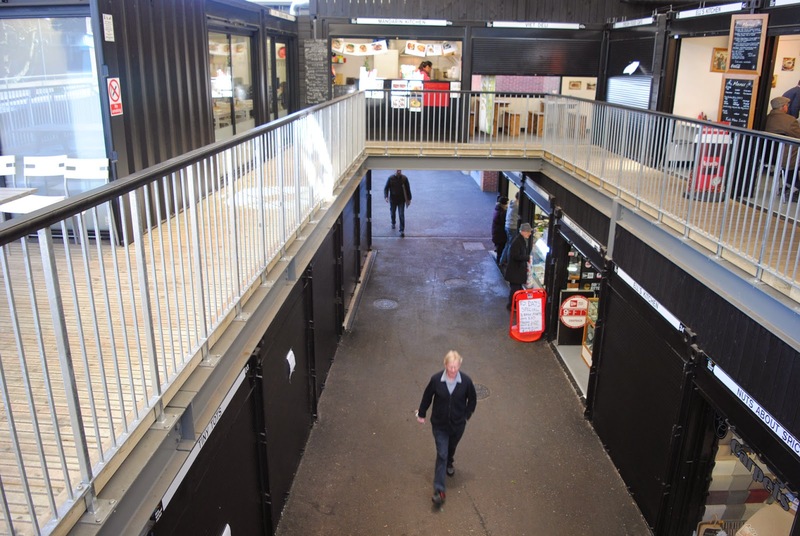 A proper steering group (with teeth) for the new market was another great suggestion, set up to ensure that the Infrastructure needs, trading portfolio and marketing messages put out there created an exciting destination that people would want to visit. The traders have given all there is to give, I see it in their faces week after week. This is not a doom and gloom post I believe we can turn it around, and as readers of my posts will know I am a massive fan of the market. I am oft chastised for reporting bad news about the market as it will drive people away... there is no one left to drive away... wake up!! ... the game is up... a heavy dose of reality is required it has gone beyond a 'bit of bad news'! I know that the Town Centre Partnership meets Thursday 26th March. +Kate Leach (Watford For You) was also at the meeting last night, she has promised to air the plight of the market at their gathering tomorrow. The Mayor will be there along with many of the other larger businesses of Watford. The clock is ticking there are only a few days before the rent rises kick in... I do hope that there is a mad rush of sanity and someone makes a good decision before the next play kicks off... otherwise I can't help thinking that this might just become a local election issue very soon!